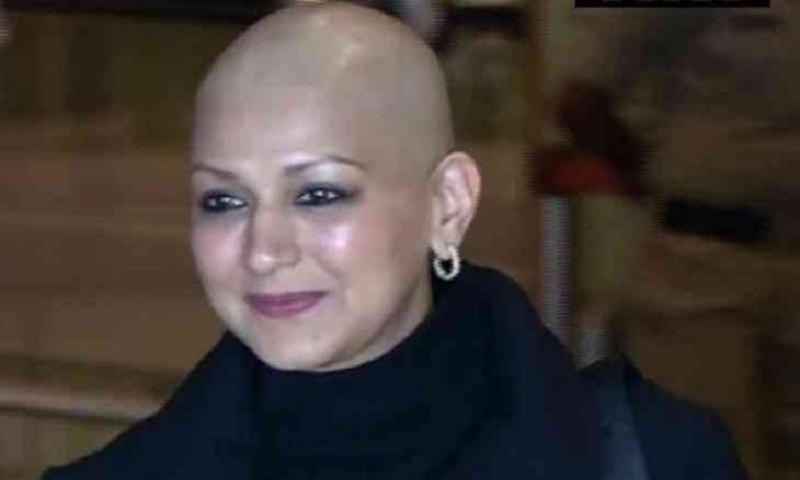 Sonali Bendre has been a picture of resilience all through her treatment for cancer in the last five months. Now that she is back in Mumbai amid treatment, her joy is more than palpable. She posted a picture of herself with her pet dog and looked happy as ever. Sonali reached Mumbai after five months of stay in New York where she was undergoing treatment for ‘high grade’ cancer. Describing her journey on social media, she had mentioned how there were times when she was in so much pain that even lifting a finger hurt. But Sonali has shown exceptional courage in taking the illness head-on and fought it. Giving her support all through her journey has been her husband, director Goldie Behl. On her arrival in Mumbai, some of closest pals, Sussanne Khan and Gayatri Oberoi, visited her home. A video clip showed Sussanne getting into her car after visiting Sonali. Sonali has herself posted a long note at the time of her departure from New York. She had written how distance had made her long for her loved ones even more. She has said how in the course of her stay in New York, she had been witness to so many stories and how she realised that one must never give up. She also added her joy at the prospect of meeting her family and friends. She also added how her fight against cancer wasn’t over yet.